Failed launches. Products nobody wanted. A membership site with costly backend problems. Business coach Melanie Miller was so broke she couldn’t pay for a course that could save her from mistakes, so instead she taught herself with a whole lotta trial and error. Now she makes money in her sleep with the coveted evergreen launch model and two online courses. — How Melanie lost 70% of her business coaching client base in 6 weeks. — How she learned to create a successful online course without investing in any programs or trainings (because she literally couldn’t afford them). — What didn’t work when her current offering was a $47-monthly membership program. — Why you can’t join either of Melanie’s courses today. — Details on the evergreen launch set-up that drives conversions like crazy. — How Melanie got over her icky feelings about creating false scarcity in her marketing. — How “audience fatigue” has caused a drop in her profits, and what she’s planning to do about it. — Melanie’s productivity hack that I’m trying to implement for myself right now. — The surprising effect that creating marketing videos had on Melanie’s business. — The potential cost of not being yourself early on in your business. Link to sign up for her free course that funnels you into her evergreen launch – check it out to learn! Thanks for listening! Time to go get yourself paid. :) The post Melanie Miller: Evergreen Launches on Autopilot (G… appeared first on Claire Pelletreau. 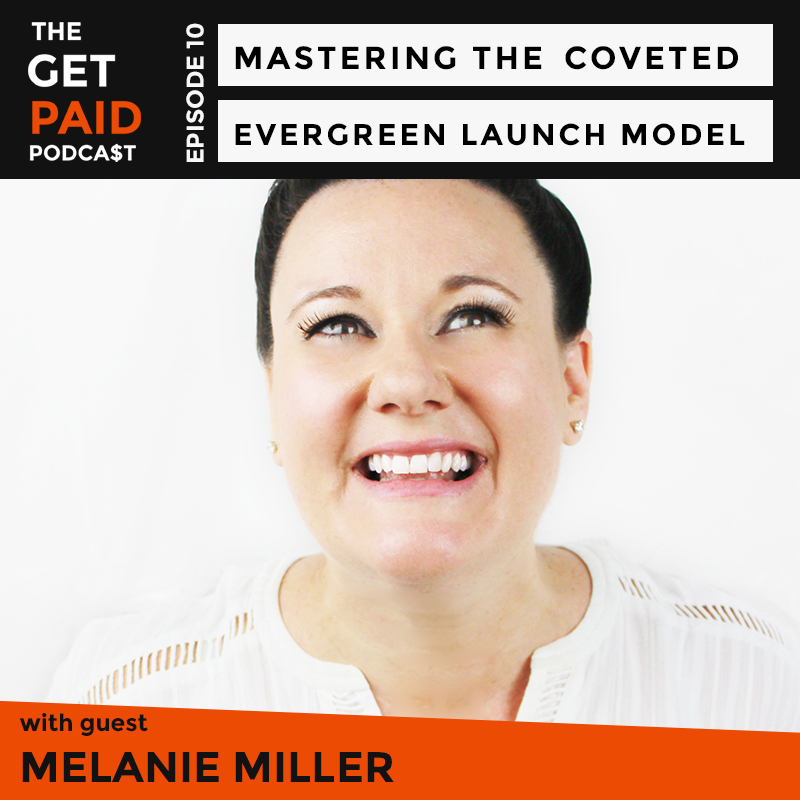 There are no lists that include "Melanie Miller: Evergreen Launches on Autopilot (GPP010)". You can add this episode to a new or existing list.